A recent sentence by the International Court of Justice in The Hague may not have stopped Japanese whaling in Antarctica finally, but it has at least given it a serious legal blow. It is now established by the highest international court that Japanese whaling in its current form (!) is not covered by exemptions for scientific whaling as defined by the International Whaling Commission. Japan is issuing licenses for killing whales despite a moratorium against whaling of 1986. Japanese authorities claim scientific reasons, but the killing of about 3600 whales has resulted in only 2 peer-reviewed scientific publications. According to the Court in The Hague, this is not sufficient to justify the number of whales killed. Each year, Japanese authorities issue licences for more than 1000 whales to be harpooned. 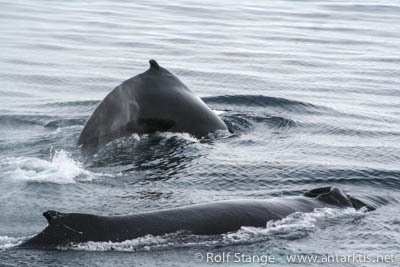 Most of these, about 950, are Mink whales, followed by Humpback and Fin whales with about 50 each. These numbers have often not been completed, thanks to the activities of international environmentalists such as Sea Shepherd. According to the recent sentence, Japanese whaling is clearly against the 1986 moratorium on whaling. Younger history has shown in many cases that international law does not keep governments from doing whatever they want, but Japanese officials have announced that they want to respect the sentence. This may, however, also mean that the current whaling programme may be replaced by a new, “scientific” one. If so, the new one would, at least, include a significantly reduced number of whales to be killed and more non-lethal research efforts. Time will have to show if such a programme would be attractive enough for Japanese whaling ships to take the long trip into Antarctic waters. The current author strongly believes that certainly the whales and the marine environment, but also the reputation and credibility of science in general would benefit from a complete stop of Japanese (and other) whaling. Humpback whales in Antarctica: not yet safe from Japanese harpoons, but there is hope.